“Addiction” is a theme that runs throughout Stephen King’s works and I will talk more about it in the future. In this book, not only is our main character Roland addicted to the pursuit of the man in black, he is also addicted to tobacco just like a regular Joe. After a long period of starvation as he follows his nemesis, Roland passes up a meaty meal of rabbit that the man in black offers him after magically shaking it loose from his robes. Roland admits readily that he is afraid of enchanted meat. But later, when the man in black offers him tobacco, Roland is willing to risk a little enchantment. We all have a price right? Roland’s price is probably a lot higher than most people’s and he is an honorable and complicated hero, even though he essentially killed Jake by letting him fall to his death in order to continue his pursuit of the man in black. 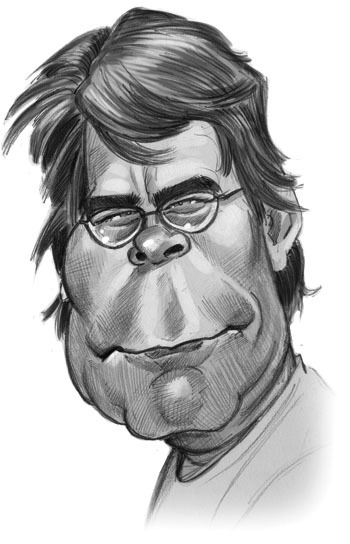 As I said before, King’s thoroughly developed characters are rife with faults. As Roland runs toward the man in black instead of saving Jake he knows exactly what he is doing, and he knew he would do it beforehand as well. Furthermore, he knew it was going to haunt him for the rest of his days, even before it happened. Part of Roland’s appeal is that he knows himself so well. He’s an expert observer of other’s behavior and we now know, of his own. Jake knew it too, sadly, and kept on traveling with Roland as there was no other realistic course of action that would save his life. For other reasons too perhaps. As Jake falls to his death, he yells that there are “other worlds than these.” This line, which is brought up repeatedly in later books, baffles me, even though I’ve read the whole series and The Talisman, which has many parallel worlds. 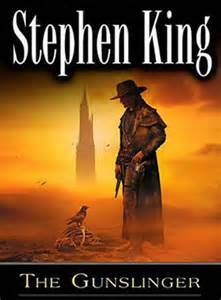 Maybe I will figure it out as I continue to read (again, after 20+ years) the Dark Tower series….